Lifescape brings sustainability to all aspects of the project, from the materials we use to the plants we specify. Our commitment to these practices saves our clients money in the long run and has earned Lifescape the title of Sustainable Landscape Charter Partner with the Associated Landscape Contractors of Colorado. Concerned about potential drought conditions? Another great way to conserve water and maintain a beautiful landscape is to consider Xeriscape. With Colorado’s semi-arid climate, water-wise landscaping uses low-water-use plants to create a sustainable landscape. Did you know that in order to help make low-water-use in landscaping an easily recognized concept Denver Water coined the word “Xeriscape” in 1981? 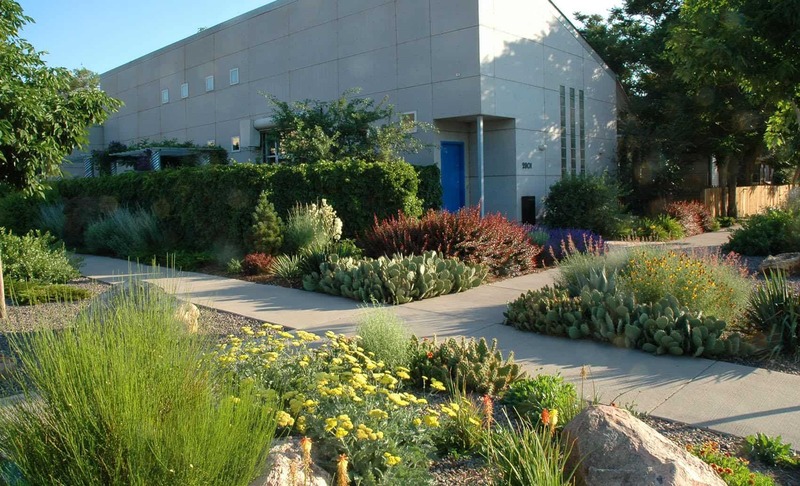 According to Denver Water there are seven principles to the Xeriscape concept: “….planning and designing, limiting turf areas, selecting and zoning plants appropriately, improving the soil, using mulch, irrigating efficiently and maintaining the landscape”. Designed properly, Xeriscape can be easy to care for, colorful and lush. “Words can not describe the transition. It’s a show stopper. When we are out front people stop in their car and comment. Besides the beauty we would like to thank you and everyone at Lifescape for their professionalism and always going that extra step toward perfection…it shows. Thanks from both of us!” Read more!